Nemanja Matic believes Paul Pogba can be a game-changer for Manchester United if he keeps improving and understands his importance to the team. The 25-year-old has consistently been in the headlines this season, with his happiness at Old Trafford and relationship with former manager Jose Mourinho under constant scrutiny. He was dropped to the bench for what proved the last three Premier League matches overseen by Mourinho but Ole Gunnar Solskjaer - the France midfielder's former reserve-team boss at United - was brought in as caretaker manager for the rest of the season and quickly put him back in the side to great effect. 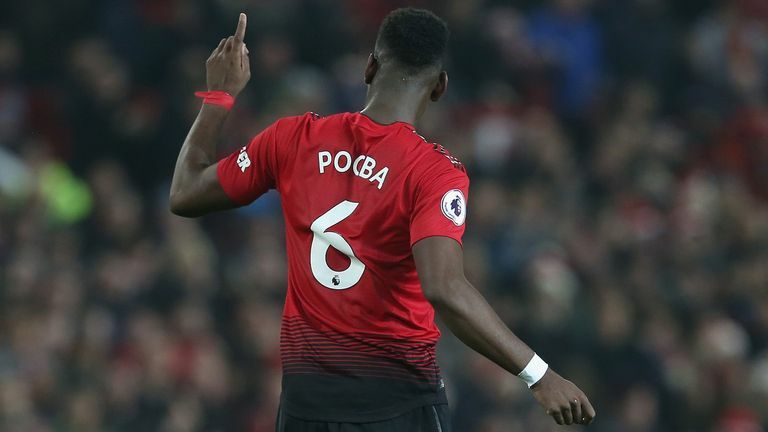 Pogba has been directly involved in four goals in two Premier League games under Solskjaer - two goals and two assists - the same total he had registered in his last 12 games under Mourinho - one goal, three assists. "As I've said in previous interviews when they asked me about him, he [Pogba] is very important for us," Matic said. "When he plays at his best, he can make the difference in every game but he played also very well (against Huddersfield), I think that he can do even more. "I think (he can do better), but slowly, game by game, (it was) very important for him to score some goals. "He needs to know that he's very important for this team. As I said, his quality can make the difference every game and, yeah, I hope that he will continue like this." "I think that if we give our best, everyone on the pitch, then his quality or my quality, or Marcus Rashford's, Jesse Lingard's quality can make the difference. But if we are not giving everything that we can, then one player cannot change anything." United will be hoping to make their collective quality felt again on Sunday, when Bournemouth make the trip to Old Trafford, live on Sky Sports. Matic was pleased to see the caretaker boss get such a warm reception and has been impressed by what he has seen from the Norwegian in his two games in charge so far. "Of course, he's a legend in this club," Matic said. "He made a lot, he scored many goals for this club and of course they will never forget him but now it's a new page for him. "As a manager, he needs to show again because in football every day is a new challenge but I am sure that he will do again great things. "He is a great person, a good manager (from) what we saw in this few days and I wish him all the best. I think that he deserves all good things."